I know we are officially in fall; but since the weather hasn't yet fully cooled down, I am still enjoying all the warm weather looks. 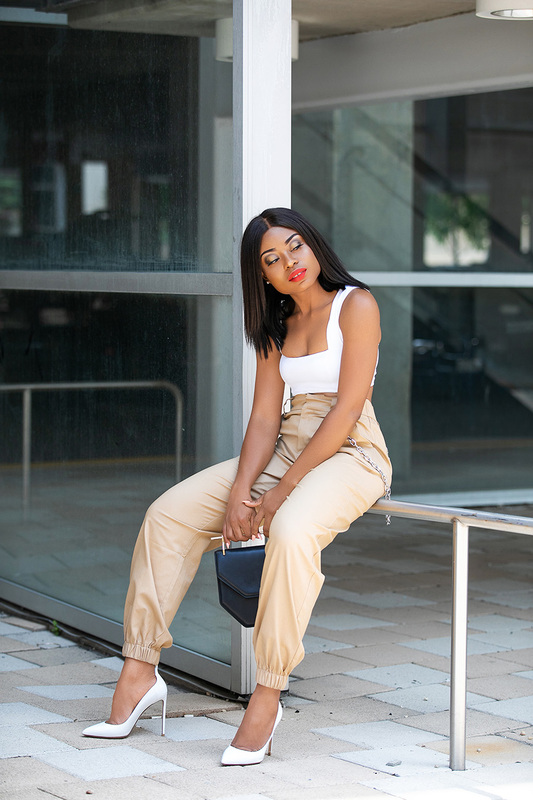 This is one look that you can still wear now before the cooler temperatures fully kicks in. It can also be paired with denim jacket or leather jacket cooler evenings. 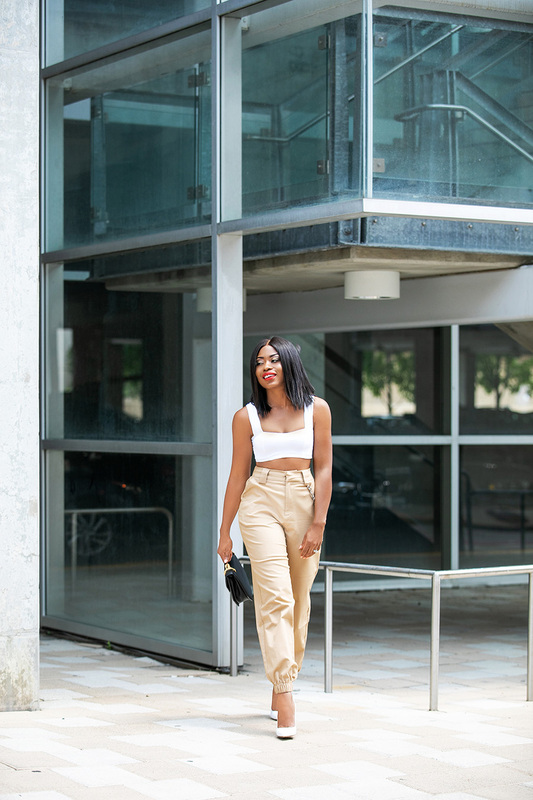 I recently discovered "I AM GIA" label and I couldn't resist picking up this Cobra high-waist pants in tan. The pants is perfect! It looks amazing with every style. It can be worn with any top from button down shirts, simple tees, crop tops and knits/sweaters for fall. It comes in different colors and prints. Love the gathered ankle style, slant pockets, and detachable chain accent. The detachable chain gives off an edgy/rocker vibe. 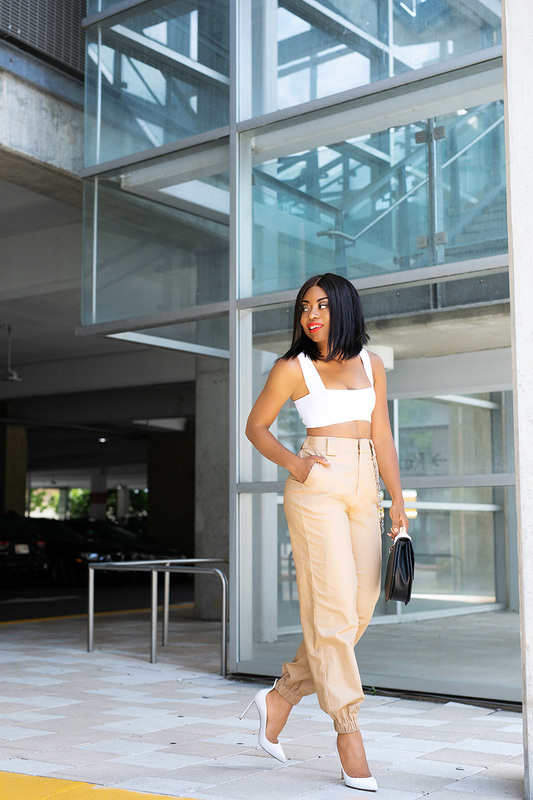 With the style of the pants, I want to add more fun to the look by pairing it with a croptop. The white crop top was my initial color option because I wanted to create a clean and simple look without distracting from the pants' uniqueness. To complement the white crop top (actually a bikini top) I added white pumps. White pumps has a way of elevating a look and making it stand out.